#1 Rome, Italy – One of the oldest cities in the world, there is no other place that holds the beginning of life like Rome. The city standing on seven hills by the Tiber River is a discovery of monuments among some of the most beautiful architectures and creations in the world. From the Colosseum, the Roman Forum, Trevi Fountain, Vatican City, Sistine Chapel, and Saint Peter’s Basilica, every street houses an imperial Roman ruin. The people of Rome, including ancient gladiators, powerful emperors, and influential religious leaders, have shaped world history for 2,000 years and counting. 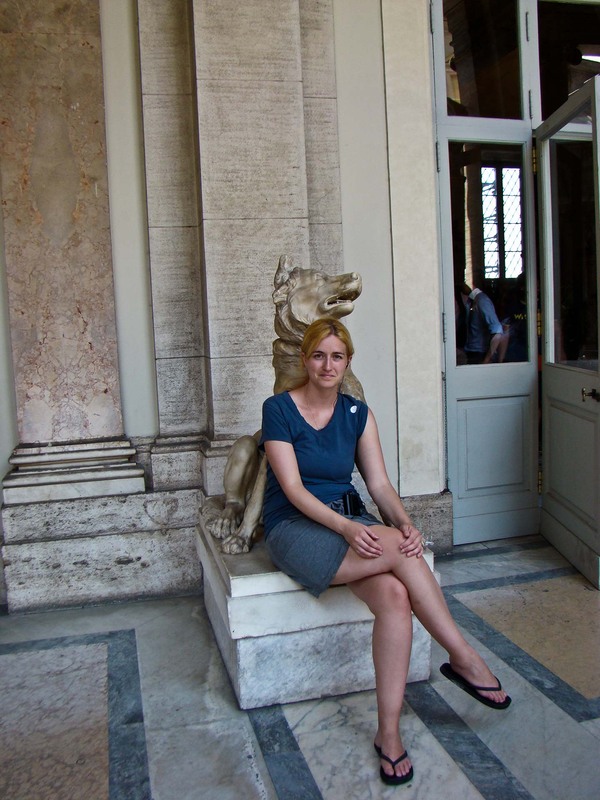 When I walked the streets of Rome, I was filled with anticipation and wanderlust. After a decade studying ancient history in high school and university, I was immersed within its walls and ready to explore its vast, lively lands. Known as La Cita Eternal, everything done in Rome is accomplished in an endless, epic manner. 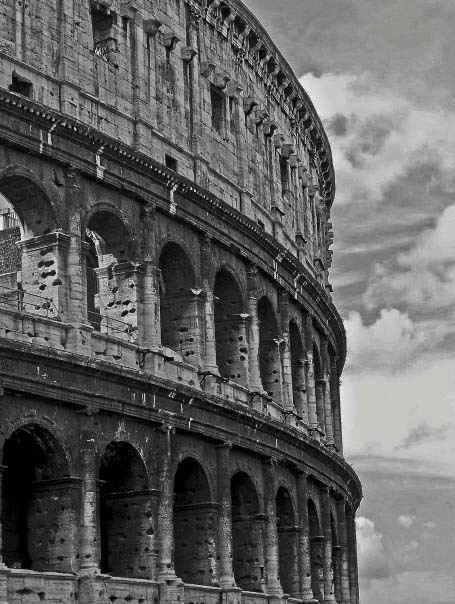 Being able to “live” history by going where historical figures went, feeling what they felt, and seeing what they saw was a remarkable experience provided by the Colosseum. It was an indescribable feeling to step inside the Colosseum and know that people, both influential and common, stood in that exact spot for thousands of years before me. The Colosseum is located near the ancient center of Rome and it’s still a marvel to behold. It is amazingly well preserved; built between 70AD and 80AD, the Roman Colosseum held up to 70,000 spectators for gladiator contests and animal hunts. It’s estimated that over 500,000 people and 1,000,000 animals were killed during the Roman games. I will never forget my visit to the Colosseum and my overwhelming desire to touch everything and blink less as I took in its history! If stones could talk, the hallowed ruins of the Roman Forum, Imperial Forums, and Palantine Hill would speak of the most powerful government in the world. Although these lands and buildings no longer exist in their original grandeur, the ruins still hold important clues about Rome’s ancient rulers and elite. I didn’t see ruins and fragments, broken arches and overturned boulders. 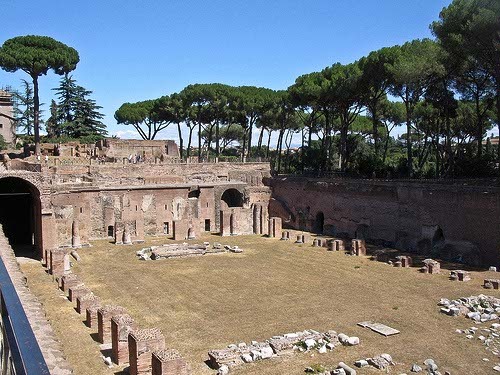 My continued studies and vivid imagination allowed me to wander amidst Circus Maximus, the Temple of Vespasian and Titus, Palaces of Tiberius and Caligula, and the Basilica of Constantine and Maxentiu. The rush of history and the “sacred way” hit me like a horse-drawn chariot; I was among gods! Trevi Fountain is a commonly visited tourist spot, and I heard that if visitors throw a coin into the fountain, they are ensured to return back to Rome. I’m not one to follow legends too closely, but if there is any opportunity to increase my odds of returning to Rome, I’ll believe in superstition. 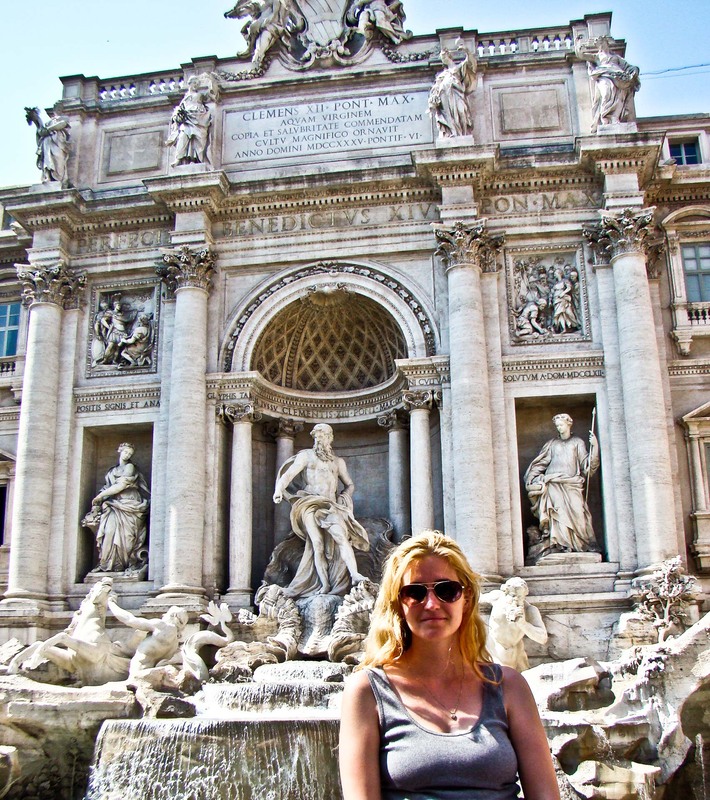 You can’t turn a street corner in Rome without seeing a beautiful fountain, but Trevi Fountain is not to be missed. While making my way through intolerable crowds, I became increasing aware of the possibility of pick-pockets. 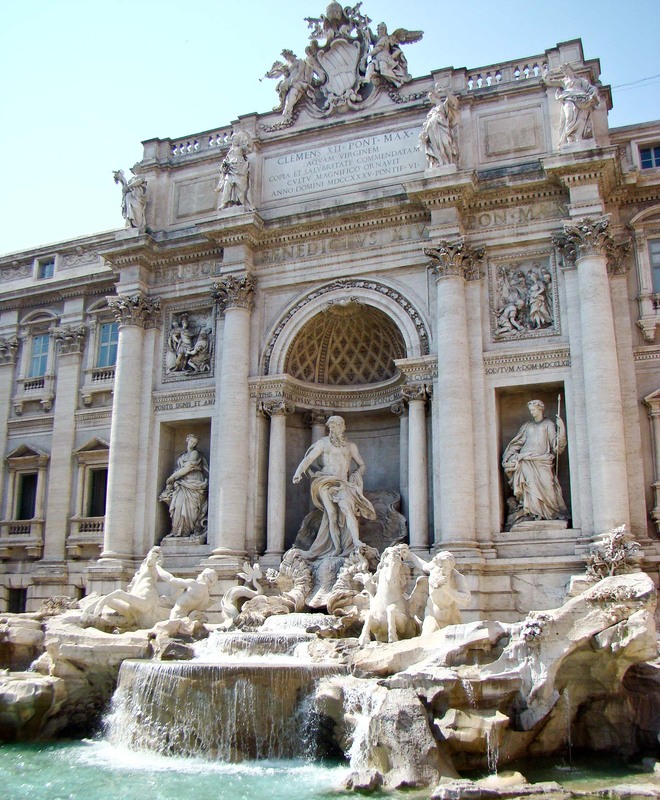 With tourists from around the world searching in their pockets, purses, and wallets for money to toss into the fountain, the likelihood of petty crime was obvious, but I threw caution and coins to the wind and wished for a quick and safe return to Rome. 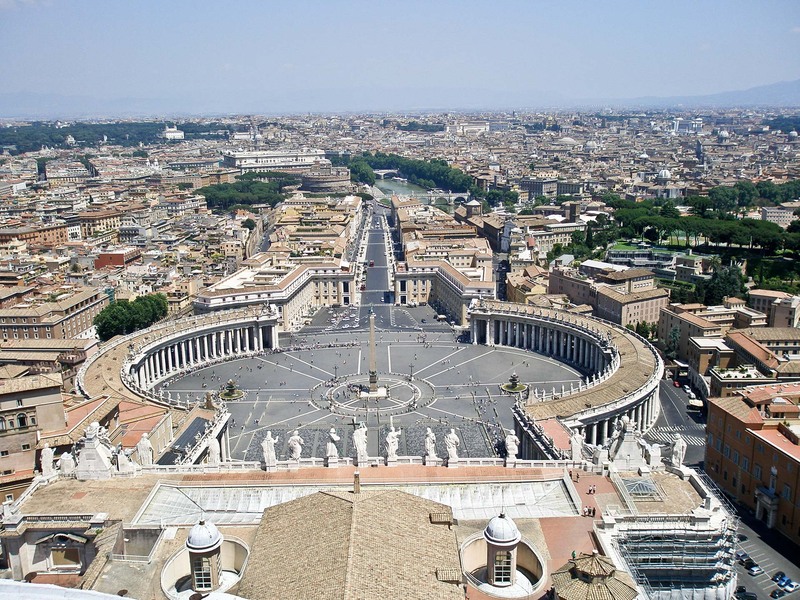 The Vatican Museums are vast and contain many treasures collected over thousands of years. They are located in the papal palace and the most famous room inside the museum is the Sistine Chapel. My ancient history studies may span over a decade, but I couldn’t imagine touring the museums or the chapel without a guide. Like the Roman Forum, there are very few markings or signs that explain the massive collections. The tour covered the Pio Clementino Museum (classical antiquity), the Gallery of the Candelabras, the Gallery of the Tapestries and the Gallery of the Geographical Maps (Renaissance Art), the Raphael Rooms, and the Sistine Chapel. When standing inside the chapel, we were packed in like sardines but it was worth it to see, first-hand, the many treasures and famed pieces of art. 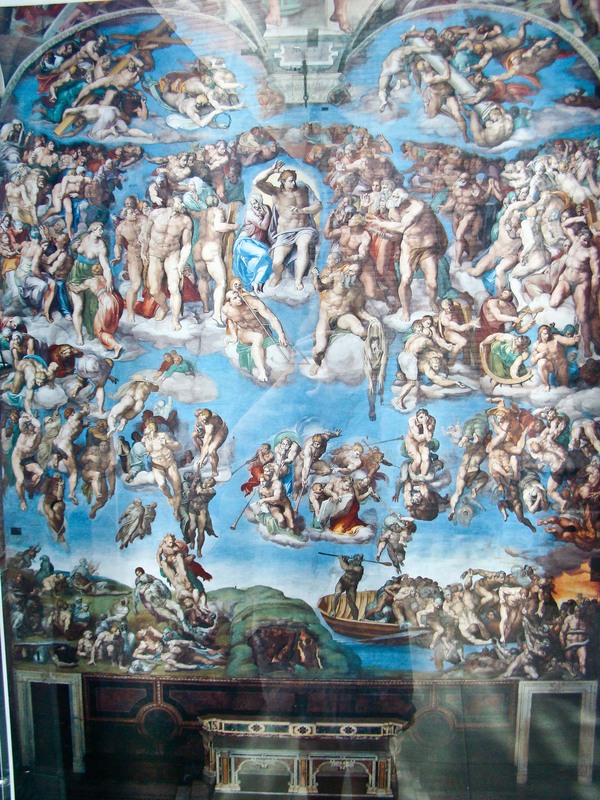 The Last Judgement, a painting by Michelangelo that took six years to complete, is located above the altar in the Sistine Chapel. It is a depiction of the second coming of Christ and the apocalypse. The souls of humanity rise and descend to their fates as judged by Christ and his saintly entourage. Standing before Michelangelo’s massive masterpiece, I understood why he prevailed as a painter. 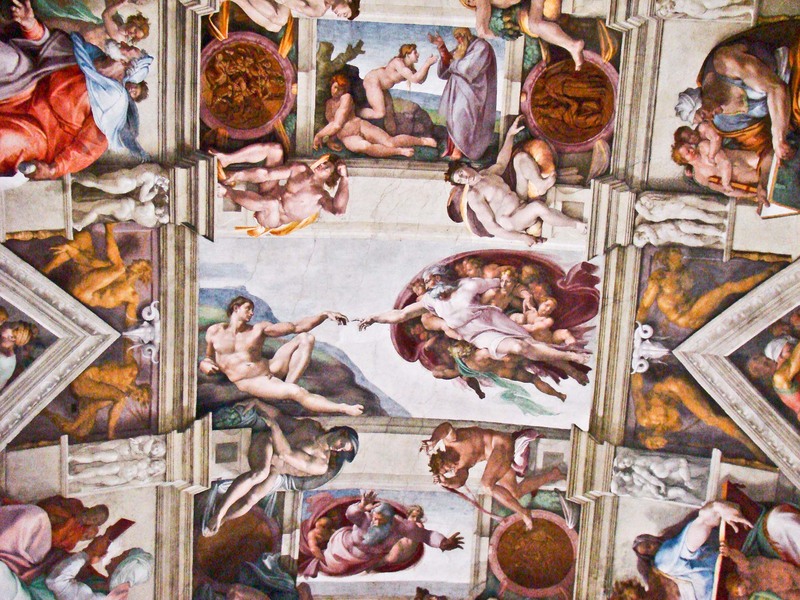 Then, if his greatness wasn’t obvious already, the ceiling of the Sistine Chapel contains Michelangelo’s most famous fresco painting and the “Creation of Man” panel. Little description is needed for this work of art because it is popular around the world. I was able to snap off a few photos before getting a second warning and eventually being escorted out of the building. I would not have wanted to go to Rome and not see the Sistine Chapel, and I couldn’t leave without my own picture. 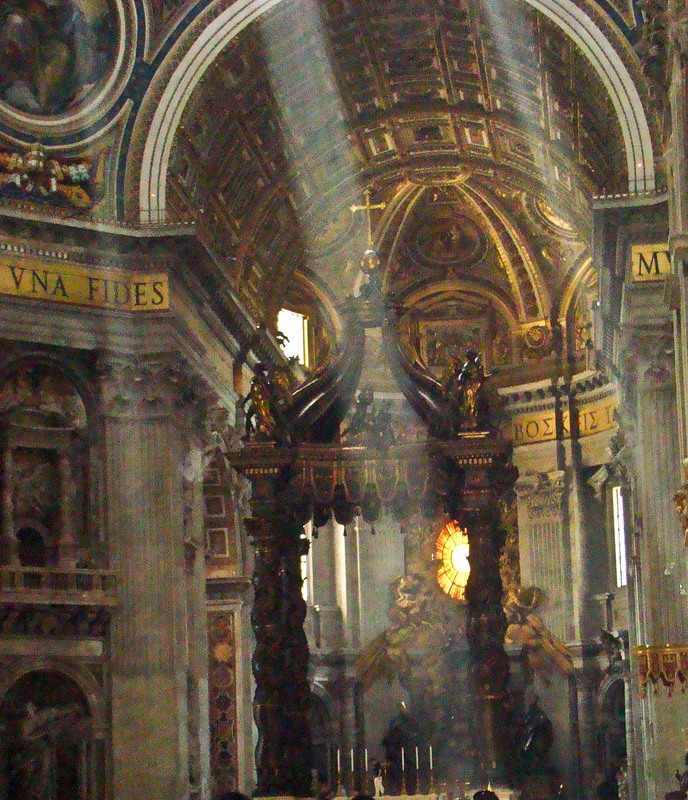 Perhaps there is no greater living testament to Rome’s history, than St. Peter’s Basilica. 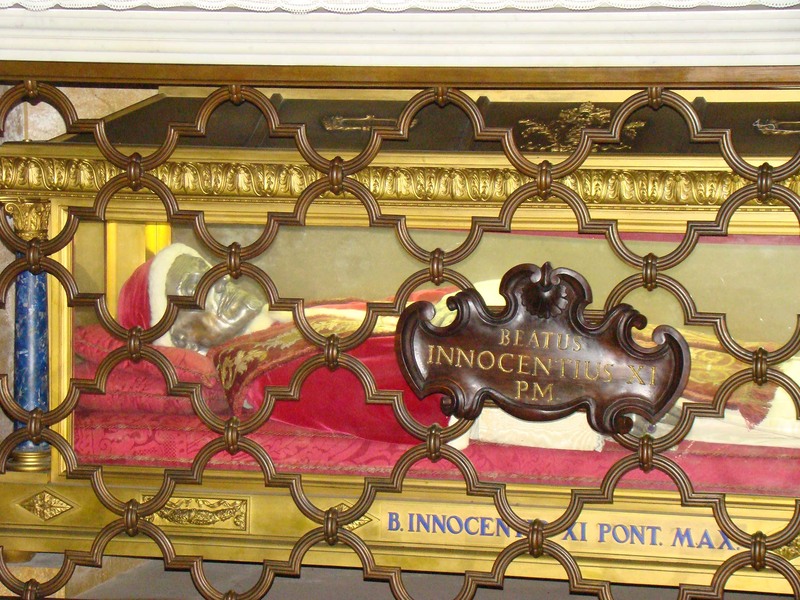 Over 2,000 years of Roman and Christian history are represented and found in St. Peter’s. 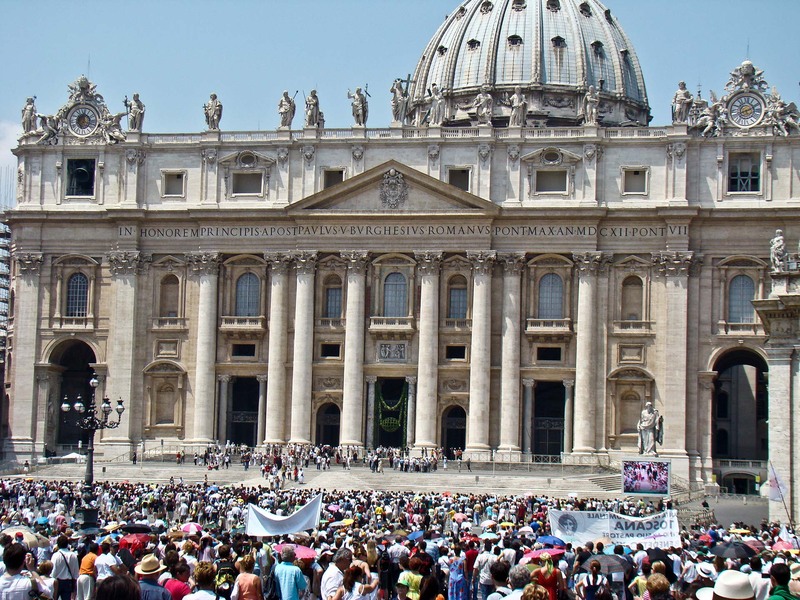 In addition to its history, St. Peter’s is also the largest and most famous church in all of Christianity. 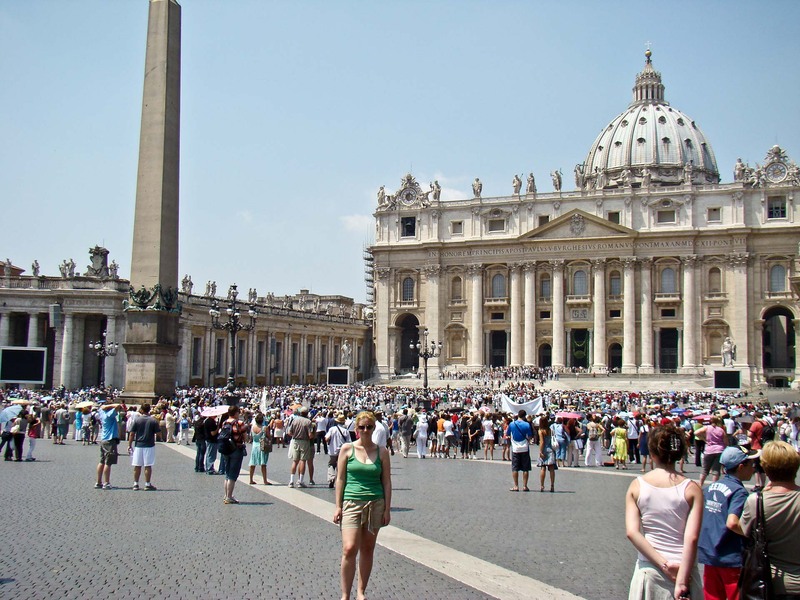 It is the home of the papal seat and the center of the Catholic Church. St. Peter’s also rivals the greatest art museums in the world. 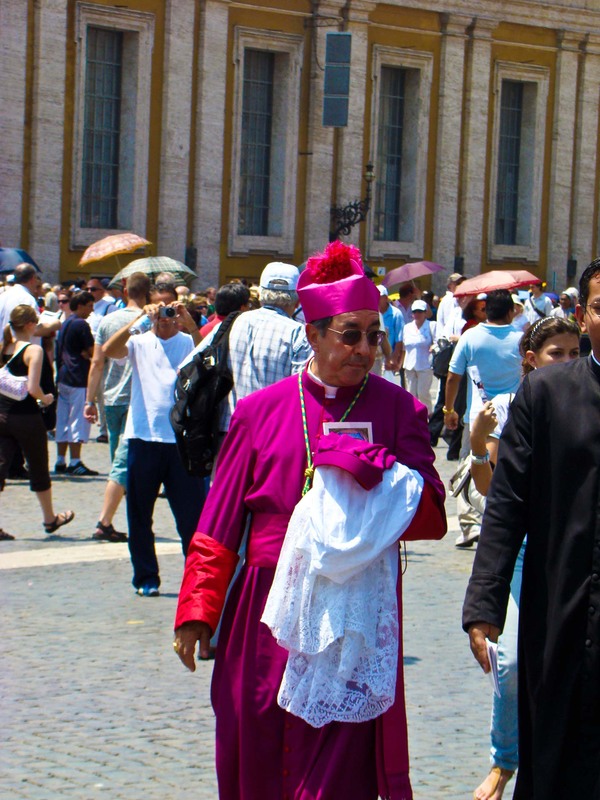 I visited St. Peter’s and took in the wonder of St. Peter’s Square during a Vatican holiday and I was able to see the Pope, bishops, archbishops, and cardinals perform a service and walk the square before my very own eyes. Now, each time I see St. Peter’s on TV, I can’t help thinking I was there! A destination ripe with history, Rome humbled me in mere moments; the imperial scale of the Coliseum, the founding grounds of ancient Roman law and justice – the Roman Forum, the grandiosity of Vatican City, the Holiness of St. Peter’s Square, Rome offered 2,000 years of continuous history in a surprisingly compact center. 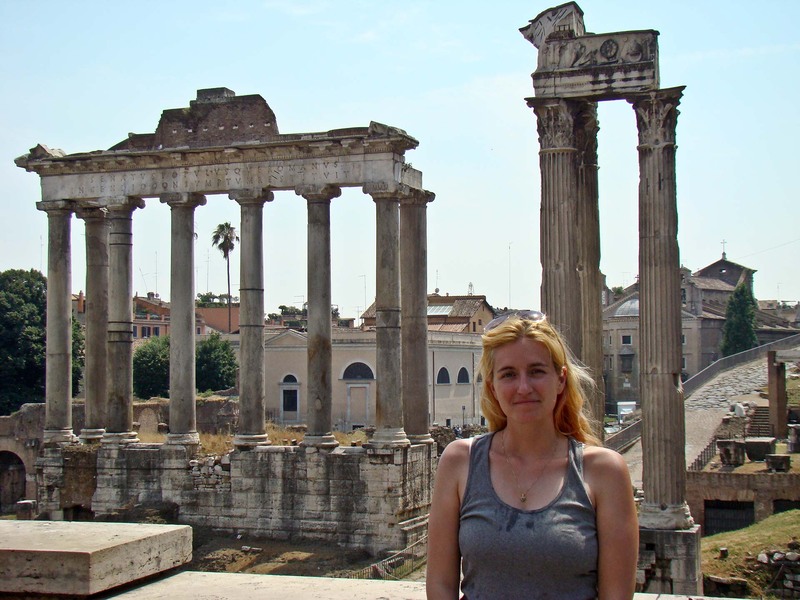 As a teacher, I reveled in its offerings and as a life-long history student I kept my eyes wide open and the pictures aplenty to never forget what I learned in Rome. 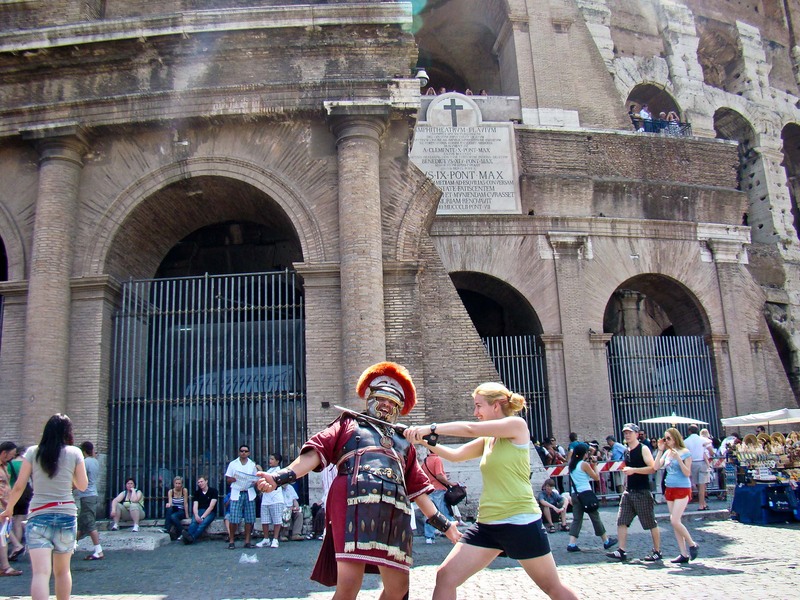 This entry was posted in Italy, Rome, Top 10, Travel, Uncategorized and tagged Adrenaline, adventure, bucket list, Europe, Family, Italy, life, photo, photography, Rome, travel, Trip, Trips, vacation by lesleycarter. Bookmark the permalink. I’ve always wanted to visit Rome. Do it! You will not be disappointed, as it is just a marvellous city and not too expensive if you stay just out of the city centre tourist areas on the Metro lines. You can’t even begin to imagine the sense of history in the city. Much better than Paris, which is nice but not in the same class. I’m crazy for Rome too! I have been to Roma, it is really great city with amazing things to see! I also love Rome! We have heard mixed reviews from our friends but it was one of my favorties. So much history! I have several similar photos in other parts of Italy as well. Love Rome.I think i’d put it in my top three cities – along with New York and Buenos Aires. Rome is a great city, and it was further enhanced a few years ago when I travelled there with my sister and her husband. The picture of us poised to throw a coin in the Trevi fountain with our husbands beside us now sits proudly on my piano. Lesley, Rome (and all of Italy) is also my favorite. So much to see and do …. so little time to do it. It’s said one either loves or dislikes Roma… Please place me in the amore camp 🙂 in fact, we love it so much our son (when he was 1.5yo) has already visited as well. I can’t wait to return again, because we will. Lovely tribute of a post. Grazie! I knew it was missing. On my own post, even reiterated on my About page, I mentioned how I consider Rome as the best place in Italy. Over Florence and Venice, it’s not an easy decision. It definitely will have a top spot if I do ever make a list. It’s a plus that the sights location are close to each other. You NAILED it! I was eagerly anticipating this post as I had high hopes this would be #1. I got chills when I saw this and actually made an embarrassing little “yeah” sound in a public coffee shop. 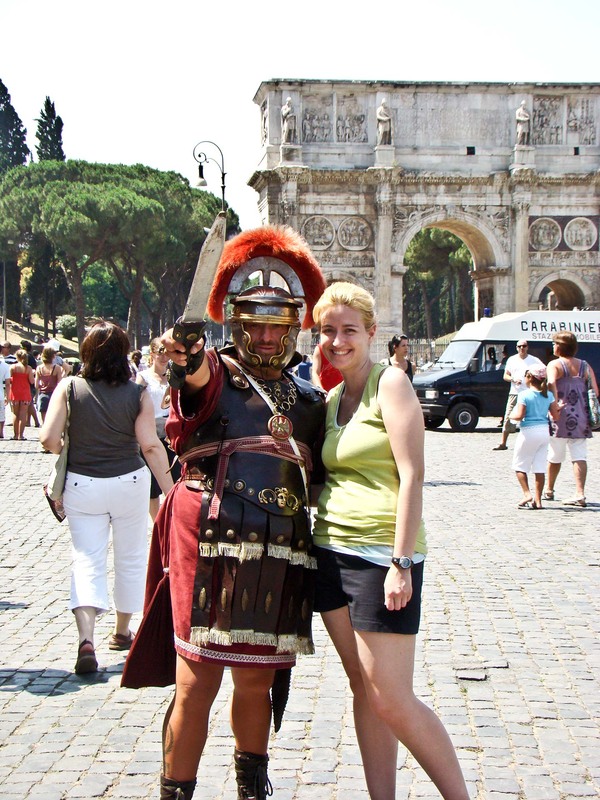 This is my 20th anniversary of traveling and living in Rome. No earthly experience has shaped my life like living in Rome and your post just made my morning. Looks amazing! This is def on my travel to do bucket list!! I so agree! Been there too! Can’t wait to go back! The tomato mozzarella sandwiches in those tiny bistros are amazing! It’s a long time ago I visited Rome, but I found the history fascinating and the pizzas weren’t bad. 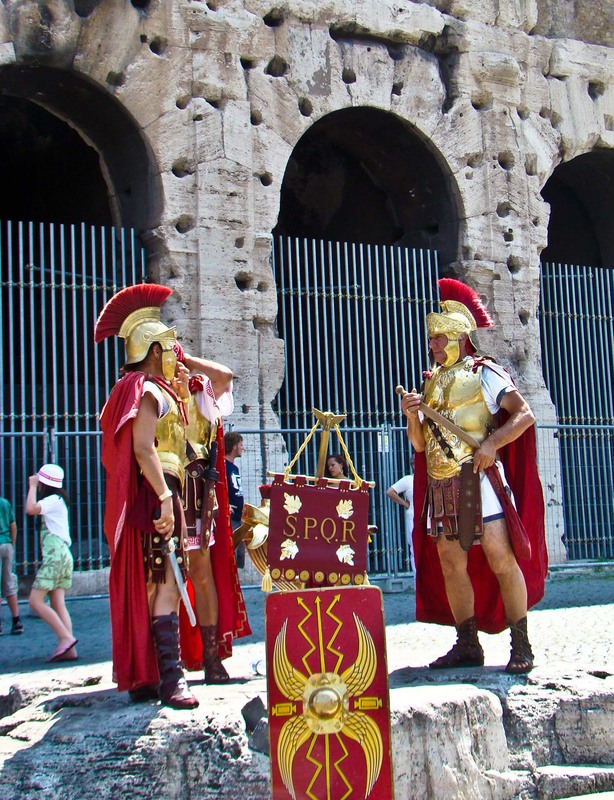 What really sticks in my mind, apart from the Colosseum, is that the municipal dustcarts had SPQR (Senatus Populusque Romanus) on the side! Yay! I’ve been waiting for your #1 and couldn’t agree more. You out did your self writing this up! I’m so impressed! I’m so glad you got your own pictures too! It’s okay to buy them but it’s so much better to have your own! Lesley, I loved Rome (been these twice) but the last time I visited, it was at the end of a trip that included Matera and Venice…I realized I preferred the quiet and slower pace of a smaller city with limited motorized traffic! Hey! Great post and pictures. Rome is definitely on my bucket list. I also didn’t realize until now (reading your bio) that you’re expecting a baby soon. Congratulations! I love the pictures and descriptions you provided. Especially the Sistine Chapel and your pictures made them come alive. I remember watching a video of IL Divo singing in the Colleseum. Unbelievable and you could see the history there. Glad that it’s #1!! You’re living my dream, keep on moving! I was raised as a military brat, so my family traveled a lot. One place I have never been and long to visit someday is Rome, Italy. Your photos are gorgeous and I really enjoyed reading about your adventure. We were in Rome in November 2007 and absolutely loved it. It was the perfect time to go because it was still warm but not too crowded. Now that we have little people in tow we can’t wait to get back there and explore it from their angle. Doesn’t hurt that I had one of the best meals of my life on a back street near Piazza Navona either 😉 I’ll need to go on the hunt for it again, not to mention eat my weight in gelato. Ha ha! Your pictures are so beautiful and you look like you had some nice days in Italy. I went during April in 2007, and I was lucky to have sunlight for several days when I shot pictures. Thank you for stopping by my blog! I look forward to reading about your adventures in the future! Yes! That’s also my favorite city in the world. I loved the Sistine Chapel and the Colosseum. Great pictures, and awesome descriptions! Cheers. This is becoming my favorite blog! Lesley, I lived in Rome the fall of 2005 with a host family in Prati. I think about my time there every single day. Thanks for the photos. They bring back my own fantastic memories. Looking forward to following along on your adventures! 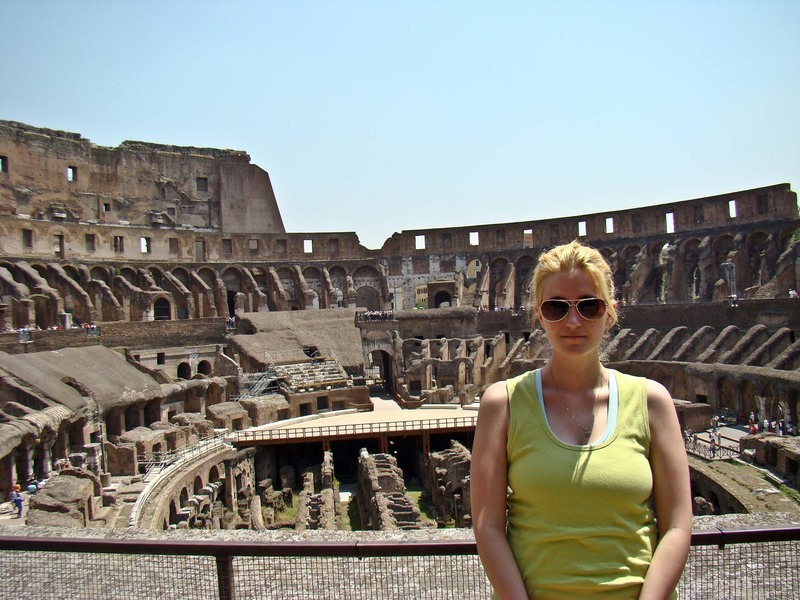 Rome is a top location for me too, great read! one day I like to get to Rome, I love the Roman history. Did you seriously get escorted out of the Sistine Chapel?! 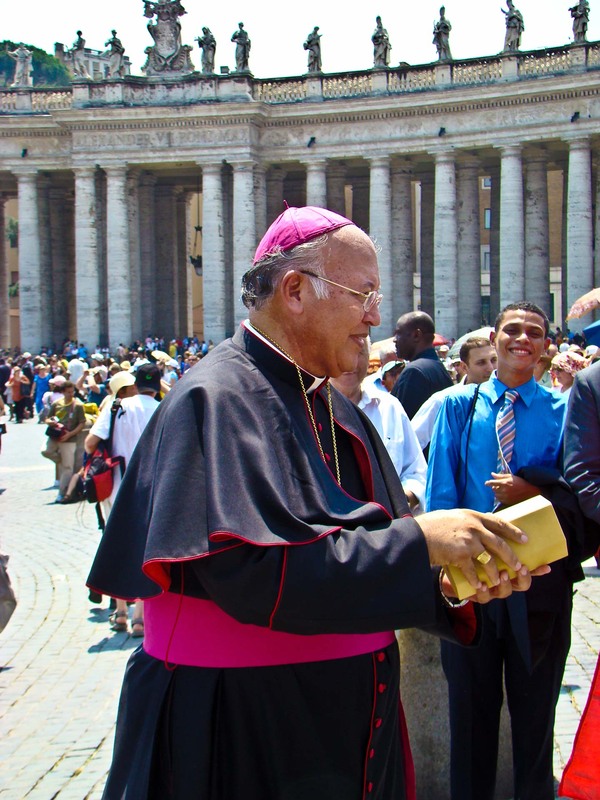 I went to Rome as part of a choir tour the summer after my junior year of high school. We even got to sing in St. Peter’s Basilica – which turned out to be a an incredibly challenging experience due to the wet acoustics. Your coloseum picture looks just like one of mine. Love this and Rome is also one of my favorite cities, so beautiful and full of ancient history and culture, easy to get around, great food and the people are so friendly. What more could you want in a city. I hope you also got to visit the Pantheon. I can’t wait to go back to Rome! My husband & I are going to Italy for our 20th wedding anniversary coming up this November. I can hardly wait!! Thanks for sharing your pics. They are terrific! Hello Honie, My wife and I visited Italy on our 30th. You are going to LOVE ITALY. The food in marvelous, the wine, the scenery, the people. In all the places we have visited, Italy is our favorite–by far. One caution, you will need to be patient. The Italians are really lay-back folks. They don’t get in a hurry to do anything. Get to know the local transportation because it’s really different than the “states”. Take your time with the “locals” and have a great trip. Oh, by the way, buy some really GOOD walkig shoes. Thanks for the tips. We’re all booked-Rome, Florence and Naples, I’m so excited! Photos galore forthcoming later this year on my blog. I’m going to look for unusual shots to capture the experience. Would love to visit Rome! An old dream of mine. One day. those guys in gold and red with the brushes on their helmets – they look like trojans. i thought trojans were in troy, not rome. i need to get out more. I feel the exact same way about going to historical places and walking in the footsteps of the great…great writers, great politicians, great humanitarians, etc. Glad to see you put my country at number one! Hello Claudia–My wife and I also put your beautiful country as Number 1. We had a great time on our 30th. As a matter of fact, we have considered moving to Italy for a month (or longer ) after my retirement to get better acquainted with the Tuscan region. Great wine, Great food, Great people. We loved it. Take care. so rich with history and culture, looks like you had a great experience!